Instead of putting up with those nondescript and sometimes confusingly repetitive email account names, you can rename the account to something much more meaningful, like the email address, or the function of that account. This is handled through the iOS Mail app settings, and it simply changes the user side and view of things, it has no impact on how the email sends or presents to the outside world. 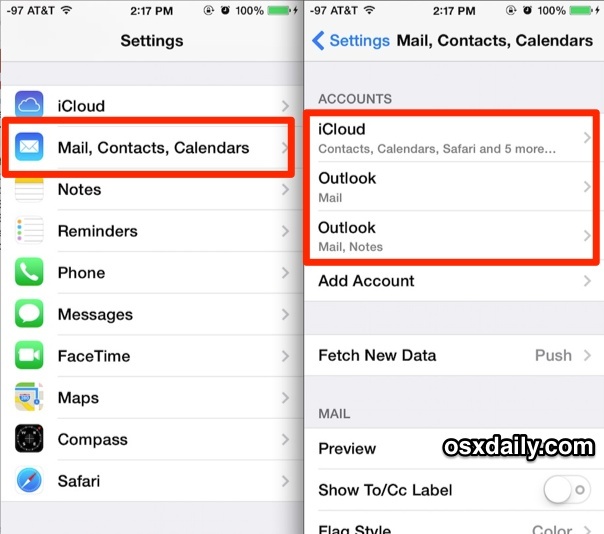 In this example we’ll take an iPhone that has two Outlook.com email accounts setup on it, both of which are confusingly named the same thing in the Mail settings and Mail app. Let’s rename the mail account to give it a more descriptive name. 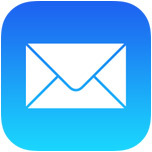 This will rename the mail account description that you see in the Settings and Mail apps, it will not change the contact name of the account, and it has no impact on the outside world when sending emails. This will also not change an email address. The change will take effect immediately in both Mail Settings and, perhaps more importantly, in the Mail app itself when looking at the account Mailboxes and inbox views. This is less important if you only have one account for each provider and you know exactly what they are just by looking at the mail provider name, but for those of us with multiple email accounts it can be really useful and help to quickly differentiate which account is which. My preference is to set them to look like email addresses, like “name@domain” since that is usually the most obvious indicator as to what the account is used for, but name them for whatever makes the most sense for you. Doesn’t work for iCloud. There is no description field for that account. 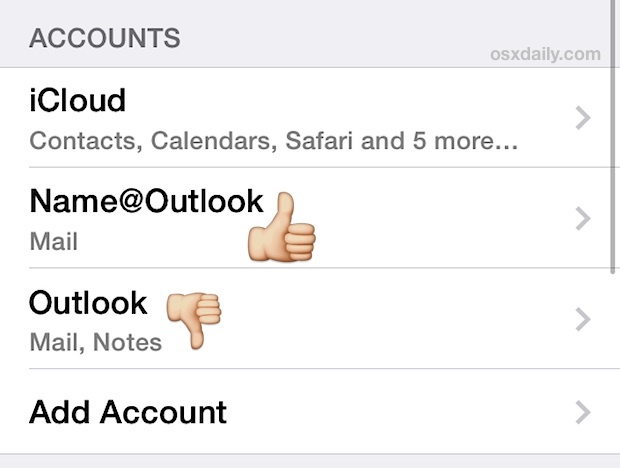 I can change the name description of email accounts, but not change the “iCloud” description. This is because iCloud is the name of the service itself, so of course you can’t change the name, that would be like trying to rename iPhone to something else. This doesn’t make sense to me. You should still be able to rename your iCloud inbox to something more descriptive. Want to change Account “name iCloud” to a more descriptive name. Doesn’t appear to be a way in iOS 10 update. 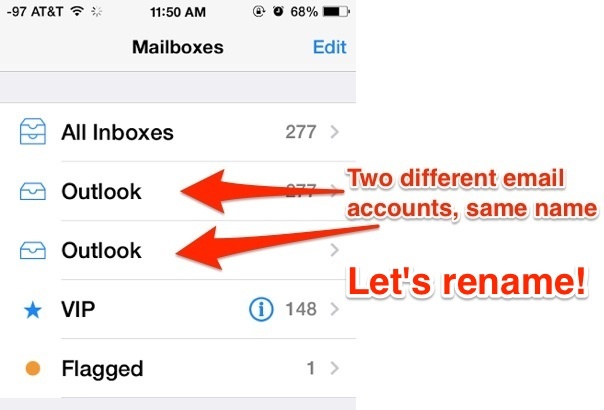 Should be a way to rename the icloud mail inbox name instead generic “icloud”. I would like to see the actual email address (apple ID) displayed at least so I know what “icloud” account it is when I check my email on iphone/ipad. This is no longer correct in IOS 11. Mail, Contacts, and Calendar are no longer one item in Settings. 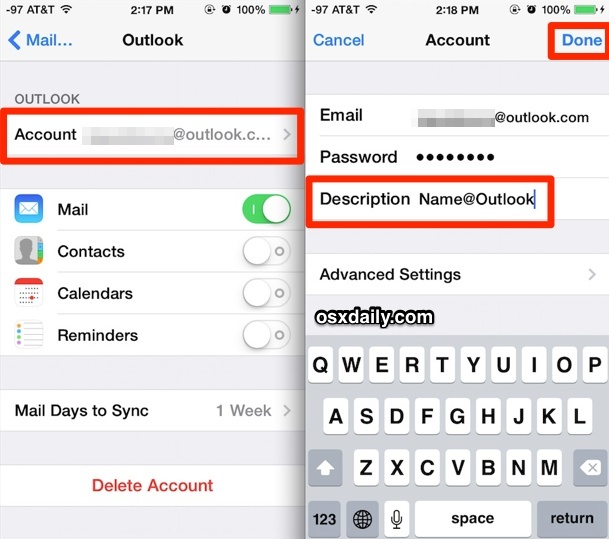 You now use “Accounts & Passwords” to access your email accounts to change add or delete them.